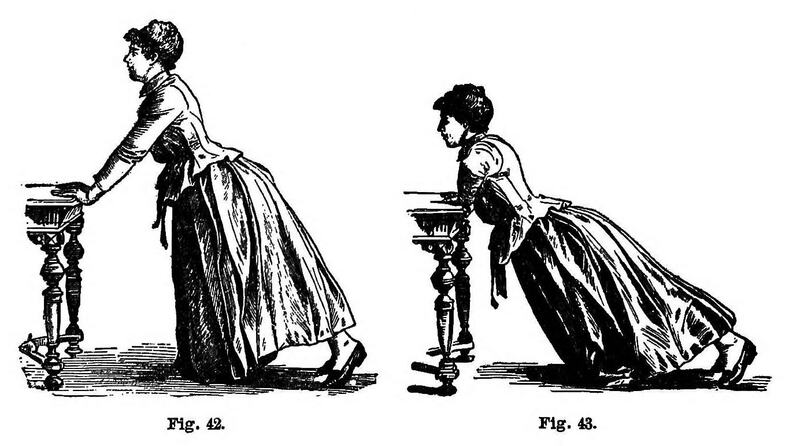 In the middle of the 19th Century a new craze began to take hold on American college campuses. 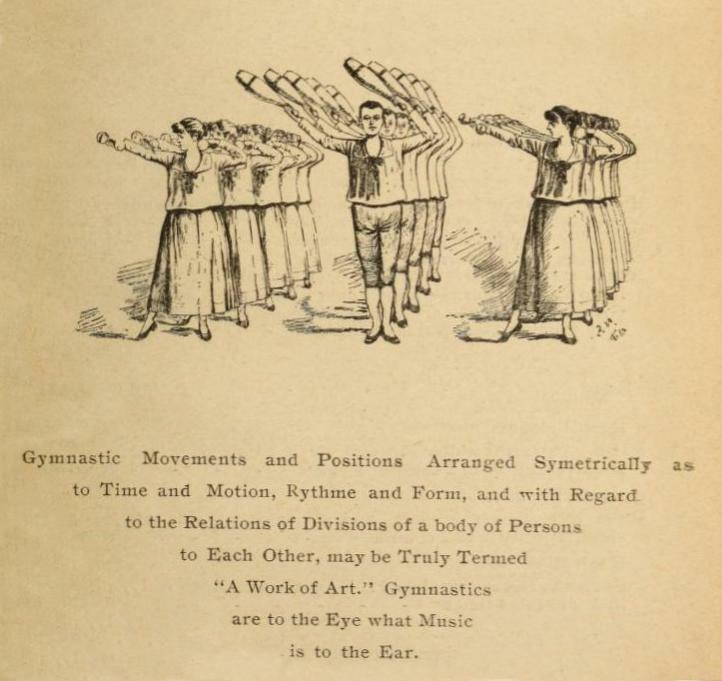 The new fad was a revolutionary form of physical exercise called gymnastics. German in origin, gymnastics spread in popularity and were ultimately integrated into college sports programs. 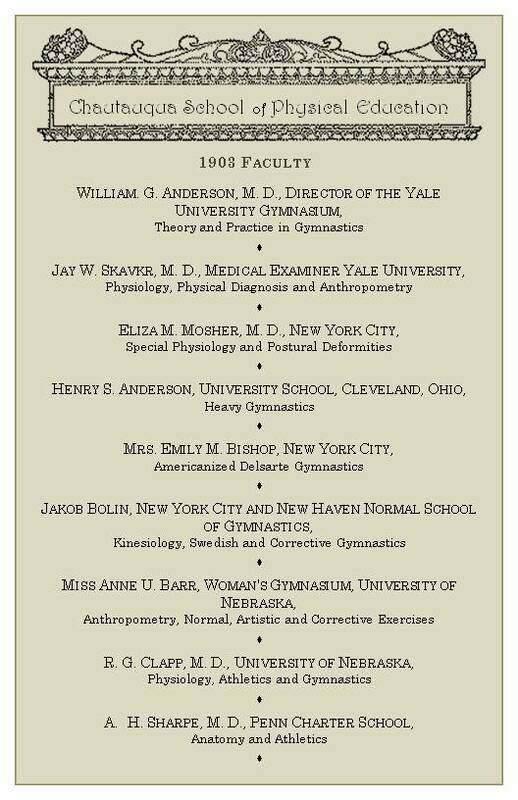 By the end of the century, gymnastics training—as well as the concept of regular exercise for overall health and well-being—made the leap into public consciousness and became a popular concept in the lives of everyday Americans. 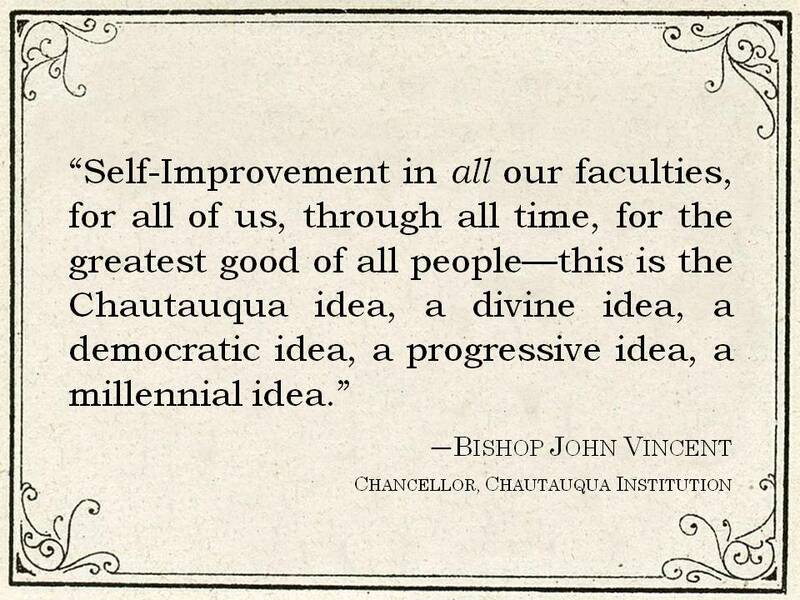 The founders of Chautauqua Institution saw the rise of public interest in physical education and knew the concept had a place at Chautauqua. Bishop John Vincent strongly believed that a healthy body was essential to a healthy mind and soul. 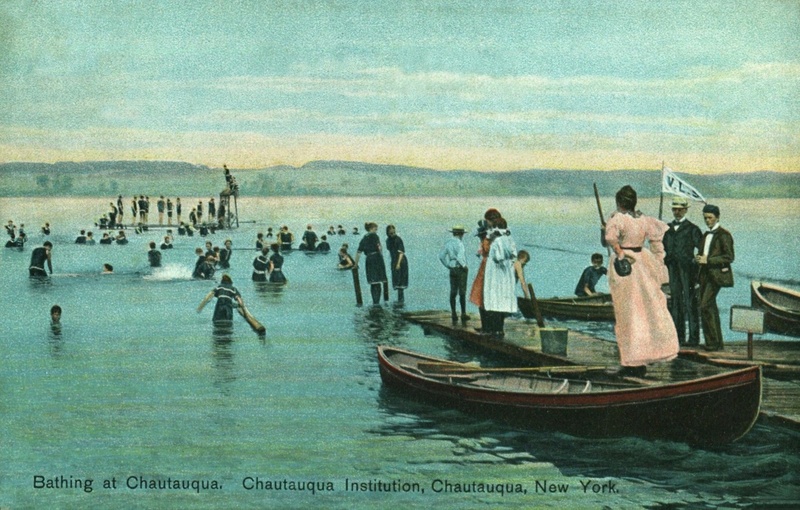 Chautauqua had always offered plenty of exercise for visitors who wanted to be active. 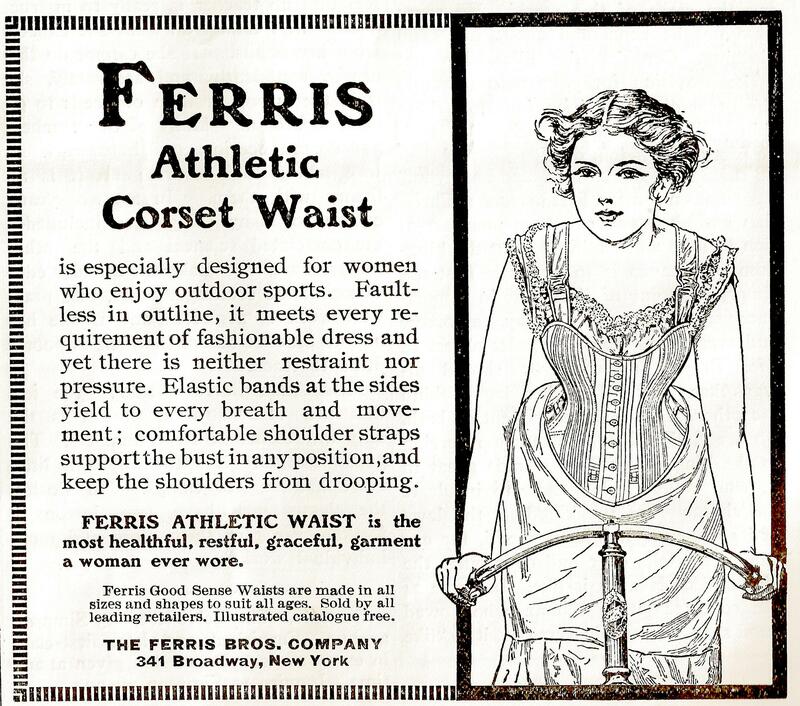 There were athletic clubs for men, women and children. 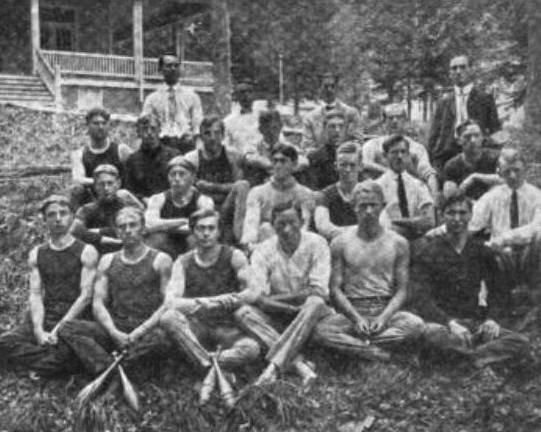 Classes were offered in hiking and riding bikes; wrestling and fencing; swimming, diving, hurdle-jumping and golf. Even their courses on gardening and horticulture emphasized the mental and physical benefits of growing orchard and garden crops. With the nation’s growing interest in fitness and outdoor sports came an increased demand for trained teachers of athletics. Chautauqua Institution answered the call by establishing the Chautauqua School of Physical Education. 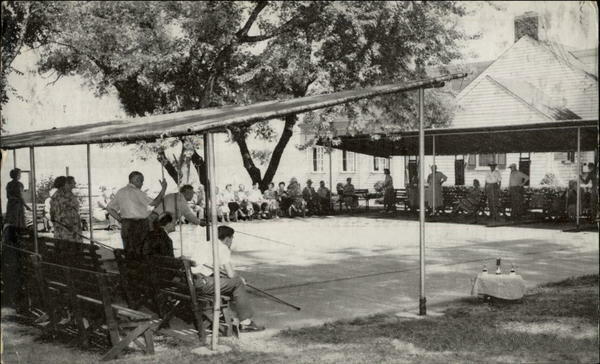 The school focused on preparing teachers for placement at schools, universities, Young Men’s Christian Associations, and athletic clubs; and they were the first to give certificates to teachers in physical education. As usual, Chautauqua Institution offered the best instruction that could be furnished in several lines of athletics. In other words, summer visitors to Chautauqua had ample opportunity to learn track and field, gymnastics, and virtually every other athletic technique from the country’s best instructors, assembled in one place. 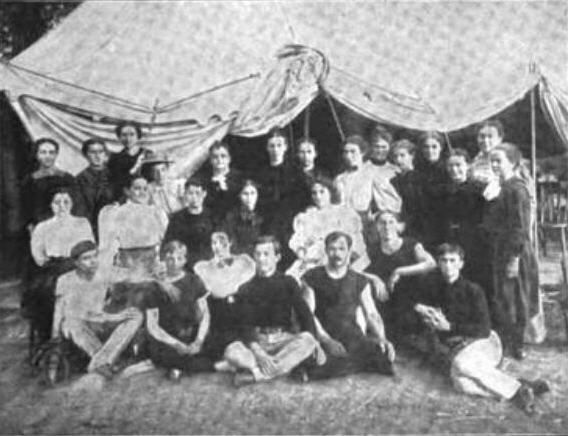 A unique aspect of the physical education training offered at Chautauqua was the melding of three different physical education systems. 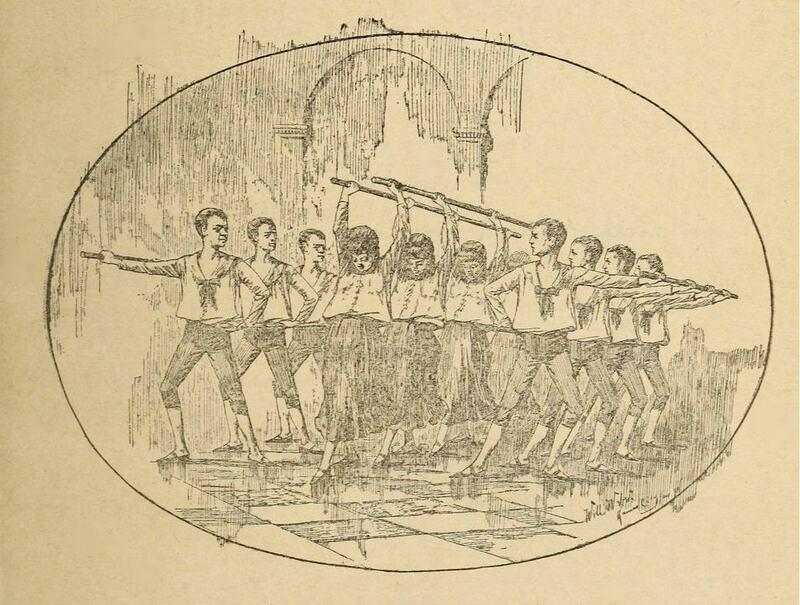 The German gymnastics system was based on strenuous exercise performed on equipment such as pommel horses, parallel bars, climbing walls and rope mechanisms. The Swedish gymnastics system focused on calisthenics, stretching and breathing. And the Delsartean system integrated lighted physical exercise with artistic movement and relaxation techniques. 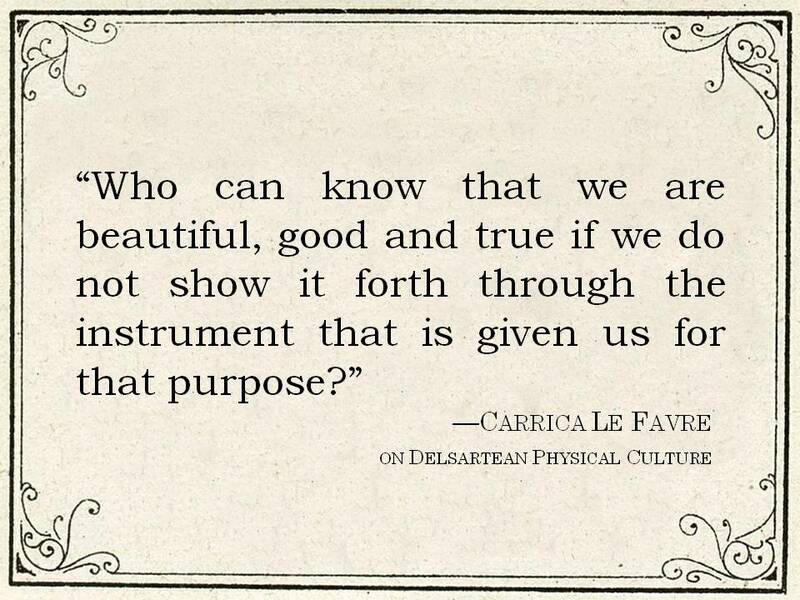 The system was named for Francois Delsarte, who devoted his life to studying the laws of human motion, gesture and expression. Together these three systems formed the school of physical culture. 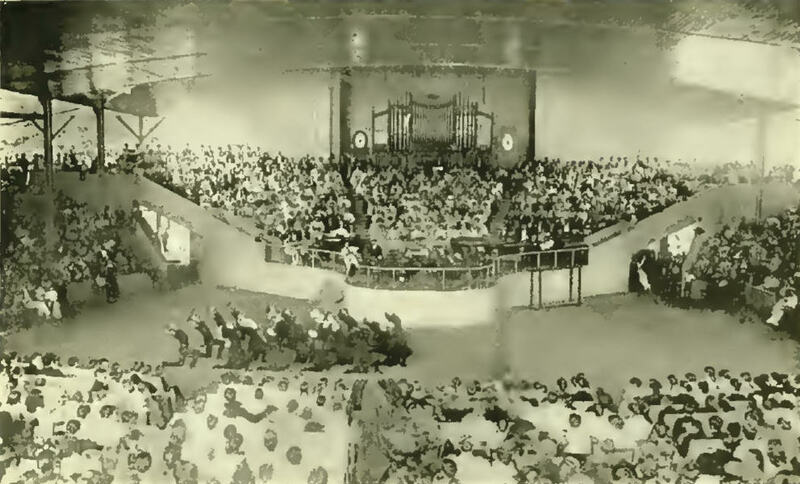 As students learned to master the different techniques, they often exhibited their skills in the Chautauqua Amphitheater. 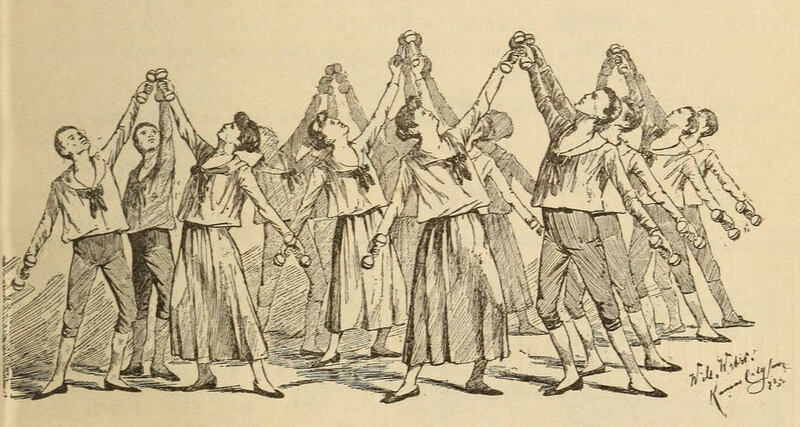 The Physical Culture exhibitions were extremely popular as a form of entertainment for summer Chautauquans. 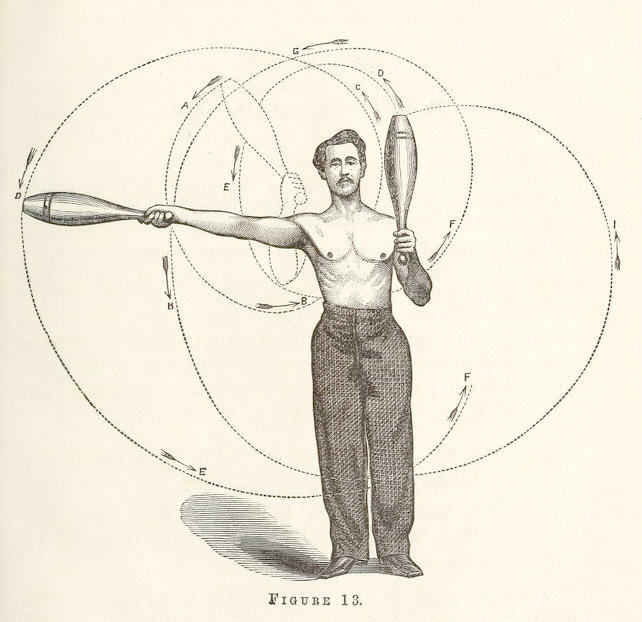 At the time, most people had never before seen athletes displaying skills with light devices such as dumb-bells, rings, poles, and Indian Clubs. As a source of entertainment, these displays were something of a phenomenon. But athletes didn’t demonstrate strength and skill alone. The Delsartean system stressed beauty of movement. 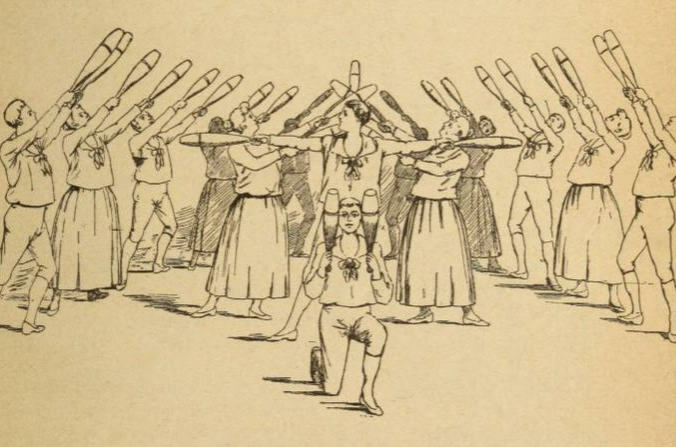 Under Delsartean teaching it wasn’t enough for students to simply lift a dumb-bell in front of an audience; they learned to lift dumb-bells in prescribed forms that created pleasing compositions, all accompanied to appropriate music. Perhaps the most popular portion of the program was the display of mastery of Indian Clubs. 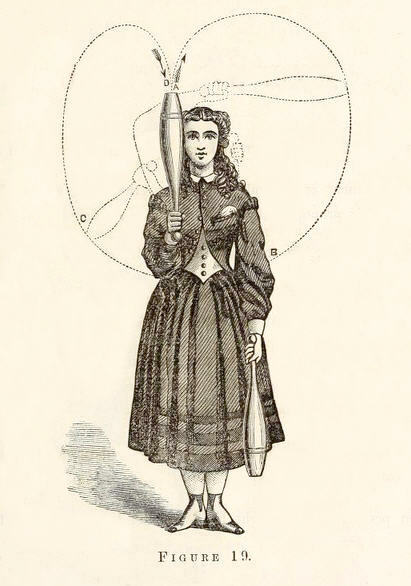 Indian Clubs looked something like modern-day bowling pins. They were often hollow with removable tops so sand or other substances could be inserted to give them weight. 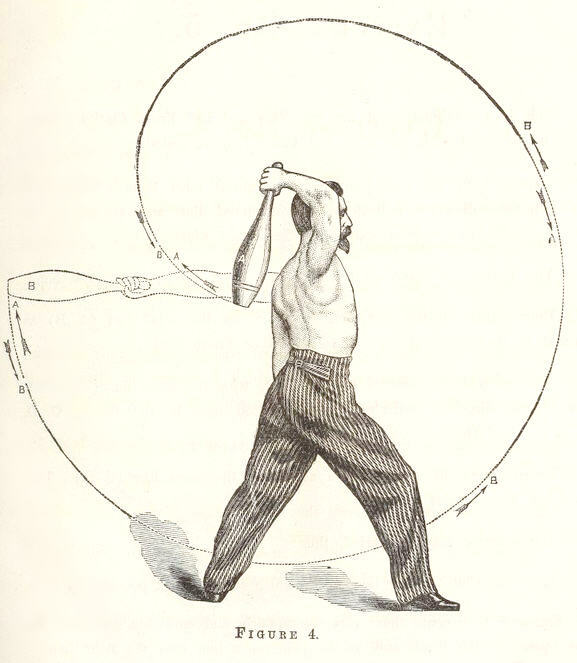 By swinging the clubs according to Delsartean rhythms and movements, men, women and children got an effective upper body workout. In the story, the solo performer was a woman, which would have been very unusual at the time, and she certainly would have drawn a crowd. 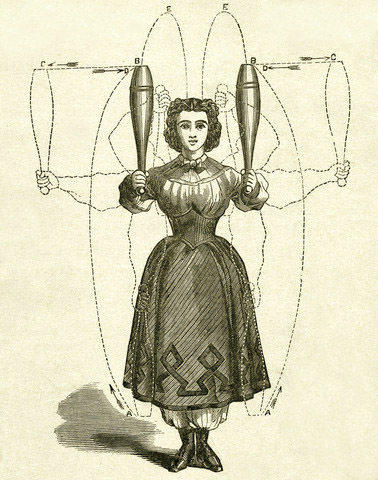 She also probably stimulated audience members to try exercising with Indian Clubs themselves. It would have been easy enough to learn how. 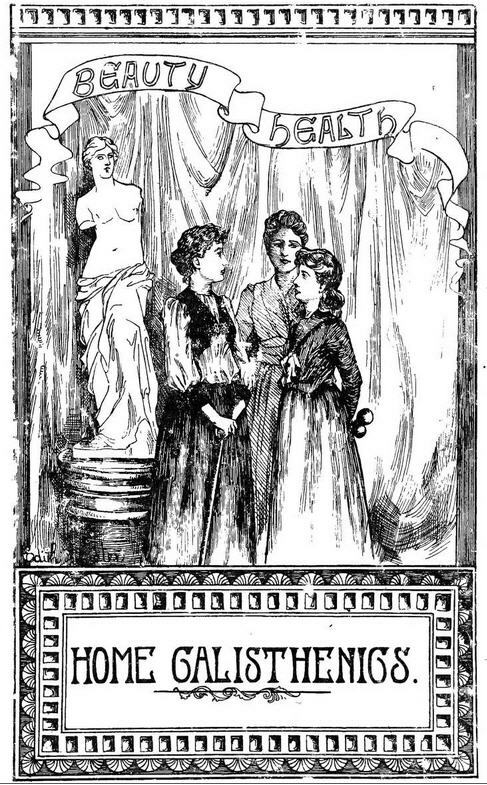 By the turn of the century over 20 different best-selling books had been published on Delsartean techniques. People bought the instruction books and used them to practice the system of movement and exercise in the privacy of their own homes. 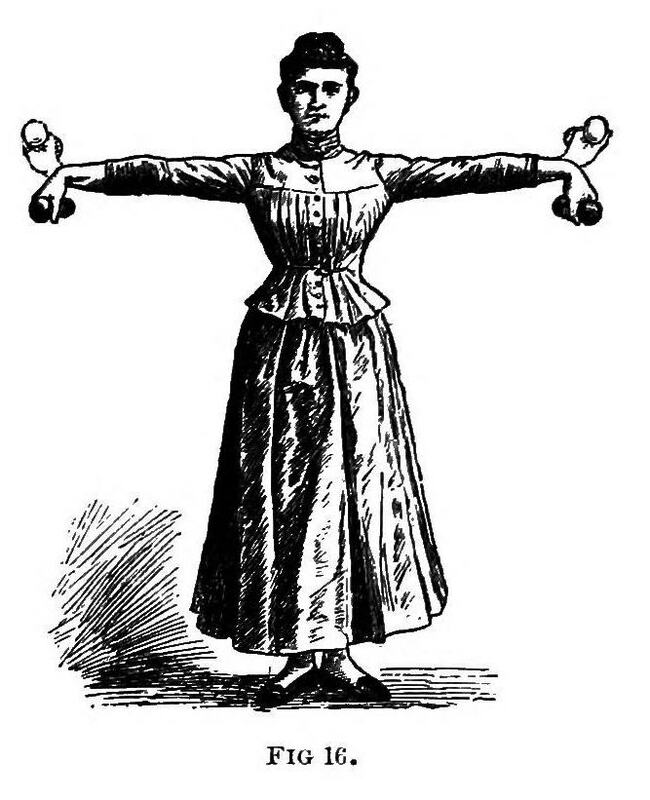 Other exercise-at-home books sold well, too, such as this Ladies’ Home Calisthenics book published in 1890. 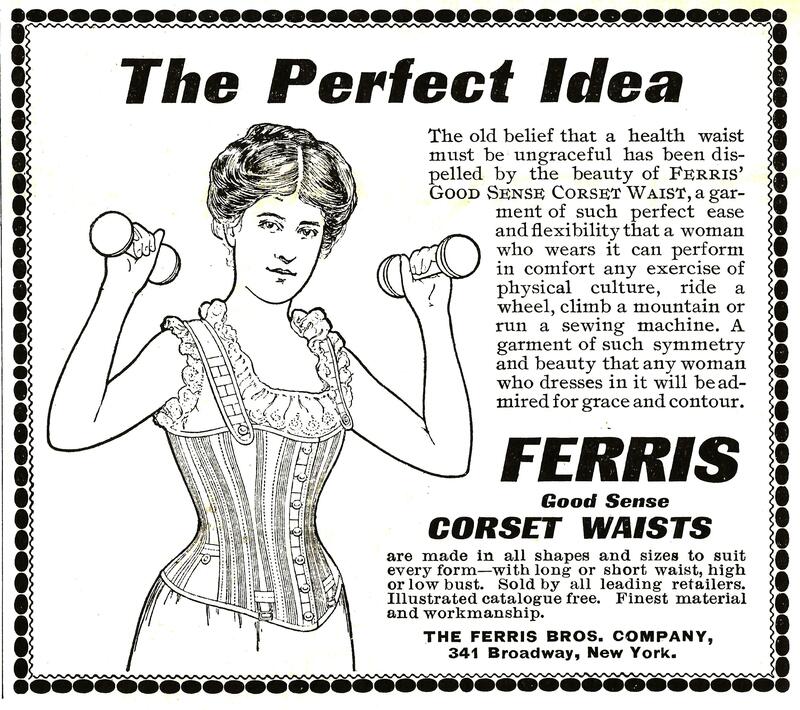 In this book, push-ups, weight lifting, and club swinging exercises were modified for women in consideration of the restrictions on their movements caused by their corsets. 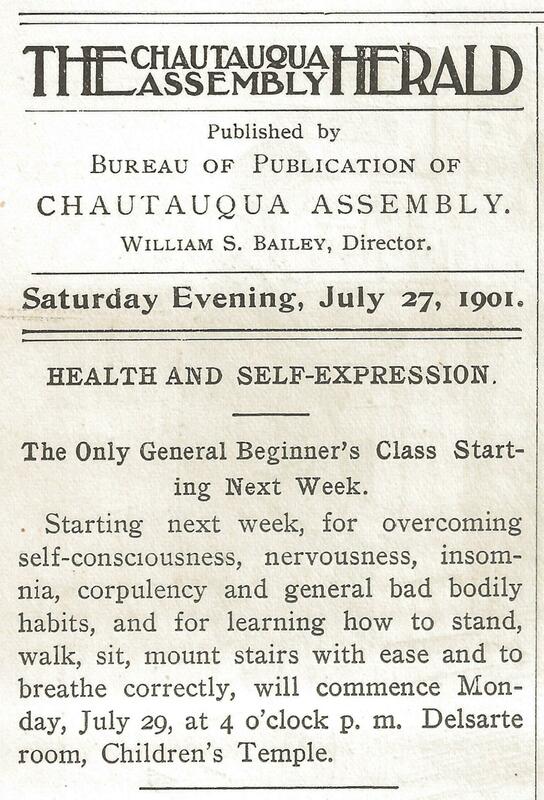 In Four Mothers at Chautauqua Isabella Alden wrote about a Chautauqua class on relaxation that was founded on Delsarte’s principles. Grumpy Mrs. Bradford learned about the relaxation techniques after her daughter Isabel showed her a brochure about the class. Yet perhaps there was never a woman who wasted more than did Mrs. Bradford. The trouble with her, as with many another, was that she did not know herself. She read on: “‘Learn to relax, to let go—physically and mentally—to untie the fuss and worry knots.’ Yes, I wonder how? It’s easy enough to talk!” But the tone was less scornful; there was even a touch of wistfulness in it. Isabel caught at the wistful tone and answered it. 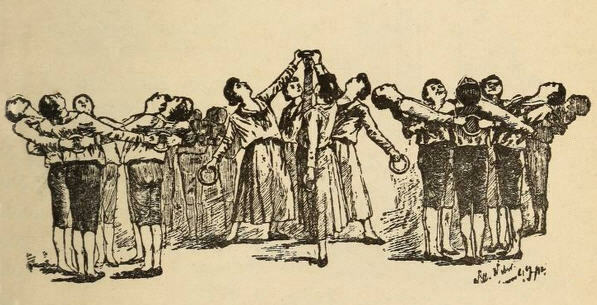 And it was a fact that as soon as the teacher began to talk, to explain, to answer with ready comprehension and sympathy the volley of questions poured at her, to move that supple body of hers that seemed to have no more weight in it than a cork, and did her instant bidding with an unfailing ease and grace, Mrs. Bradford discovered what every member of the large class had done: that here was one body that was a willing servant, instead of a tyrant demanding from the jaded spirit impossibilities. “You want to learn how to get a good healthy ‘tired,’ that will make rest a joy, and work that follows it a pleasure;” she said brightly, as if that was a very ordinary lesson easily mastered. Mrs. Bradford, from listening with an air of endurance as one who had been smuggled in against her will, grew interested, grew absorbed in the genial flow of talk that was not a lecture nor a lesson, and yet was distinctly both. When she came to herself, and found herself standing with the others trying to reach her toes without tipping over—the precise effort that she had so sharply criticized—she did not know whether to be ashamed, and indignant at somebody, or to laugh. But fun got the upper hand, and she joined in the hearty laugh that was going the rounds at the expense of them all. After that, she forgot that it was a class, and a lesson, and that she was a middle-aged woman with dignity to sustain. For a full half hour she did that excellent thing for such women as she: forgot Mrs. Bradford entirely. Mrs. Bradford laughed outright, a merry laugh such as she had not in years relaxed sufficiently to give. The comic side of this strange morning was getting possession of her. Click here to read more about Four Mothers at Chautauqua. You can read “Agatha’s Unknown Way” for free! Click on the book cover to read Isabella Alden’s short story now. 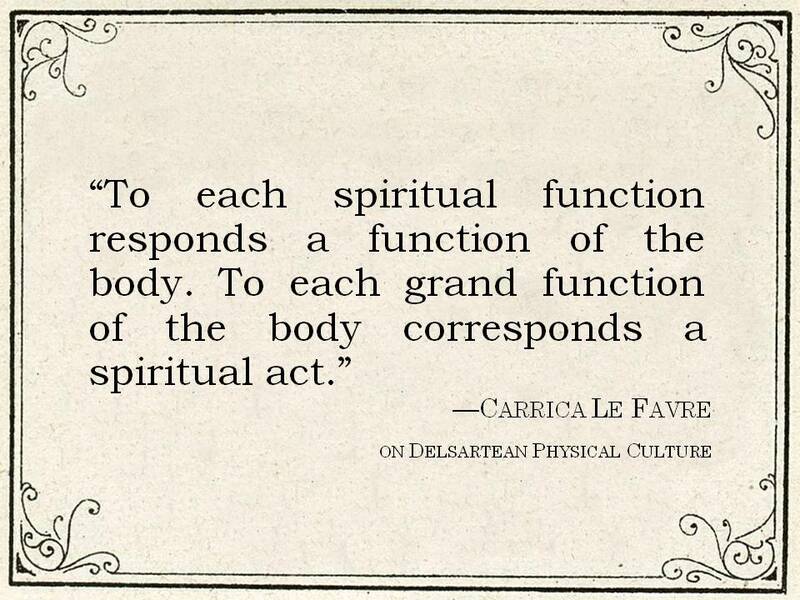 Delsartean Physical Culture, by Carrica Le Favre (1892), available on Google Books.